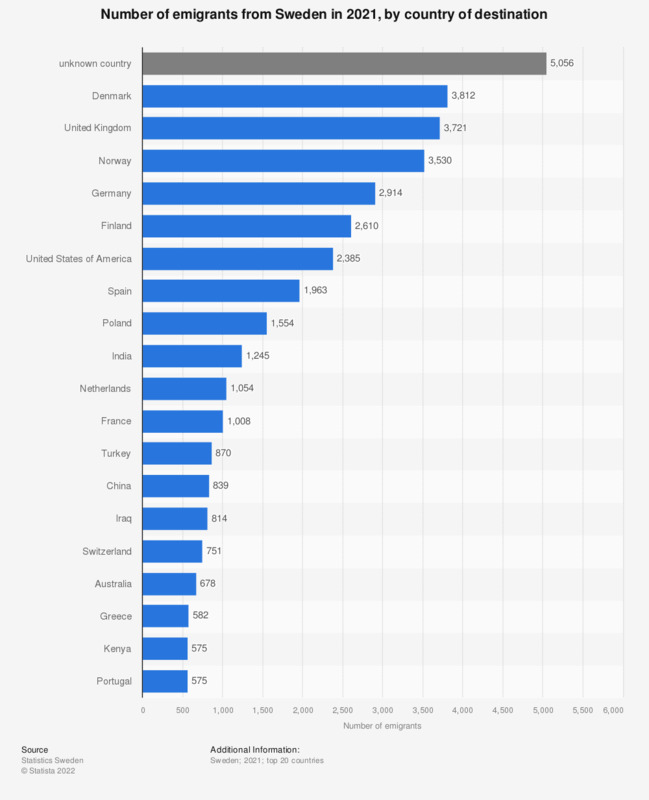 This statistic shows the emigration flow from Sweden in 2018, by top 20 destination countries. Most of the Swedish emigrants that year, almost 4 thousand individuals, moved to Denmark. Norway was the second most common country for emigration, for 3,581 individuals. An emigrant is identified as a person who is moving abroad for at least a year and has registered residence abroad with Swedish Authorities.